The Seca 813 High Capacity Digital Floor Scale is ideal for weighing very heavy patients. It has a wide, low platform (1.8") and non-slip dimpled mat. The Seca 813 has a high weight capacity (440 lbs) and is made of stably integrated steel. An ideal field of application for Seca's highly precise floor scale is weight control in the medical sector. For the health-conscious person, it is also the ideal solution for one's own home: it combines comfort, stability, and safety. 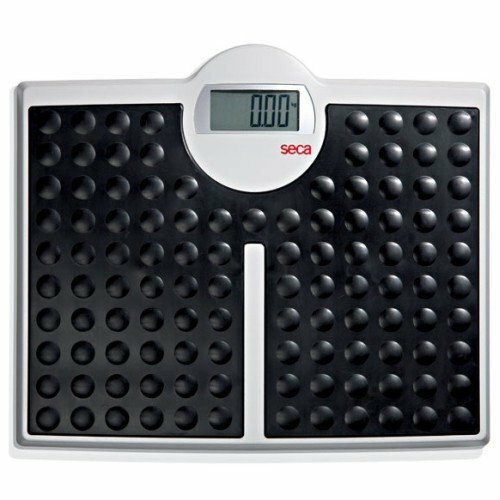 The Seca 813 High Capacity Digital Floor Scale only weighs 5.73 lbs. but can support 440 lbs. The Seca 813 has an extra wide platform (17.12 inches) which is highly stable due to the integrated steel frame. Two good reasons why the floor scale is optimal for weighing heavyweight persons. 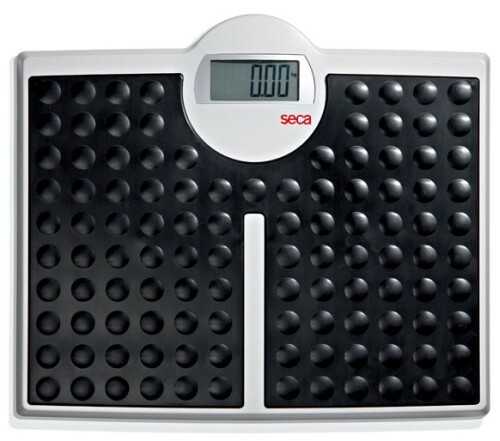 The Seca 813 Scale can be used comfortably and safely due to the extremely low platform (1.85 inches high) and the non-slip, but pleasantly soft dimpled mat. Older people or persons with disabilities have no problem getting on and using this floor scale. Of course, it is made of a smooth and shockproof material, the platform is extremely durable and easy to clean. To ensure that measuring results are recorded quickly and correctly, the Seca 813 is equipped with an easy to read, 1.14" high LCD display. The step-off function of the Seca 813 High Capacity Digital Floor Scale ensures that the measuring result is especially accurate because the scale automatically adjusts to zero every time. It weighs just under 6 pounds so the Seca 813 is great for mobile use. The scale accounts for any change in external conditions due to a change of location by the automatically resetting to zero. Do you sell the feet separate that fit under the scale to balance? One got lost. The feet are available separately through Vitality Medical. We recommend contacting the manufacturer to see if those can be provided for you.